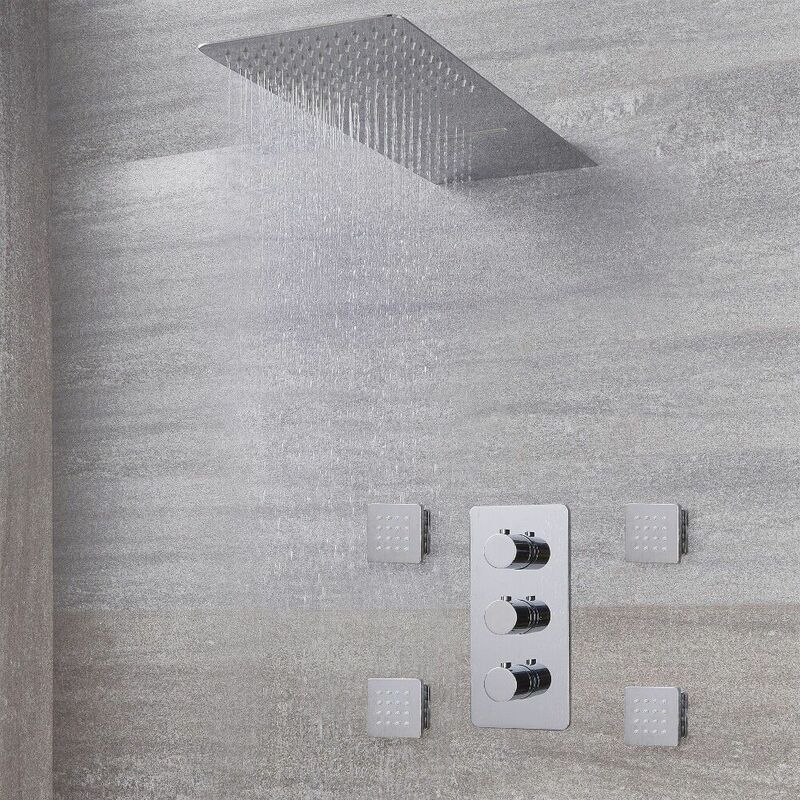 Add a touch of modern designer style to your bathroom, and enjoy a sensational daily showering experience with this Arcadia thermostatic shower system with multifunction head and jets. 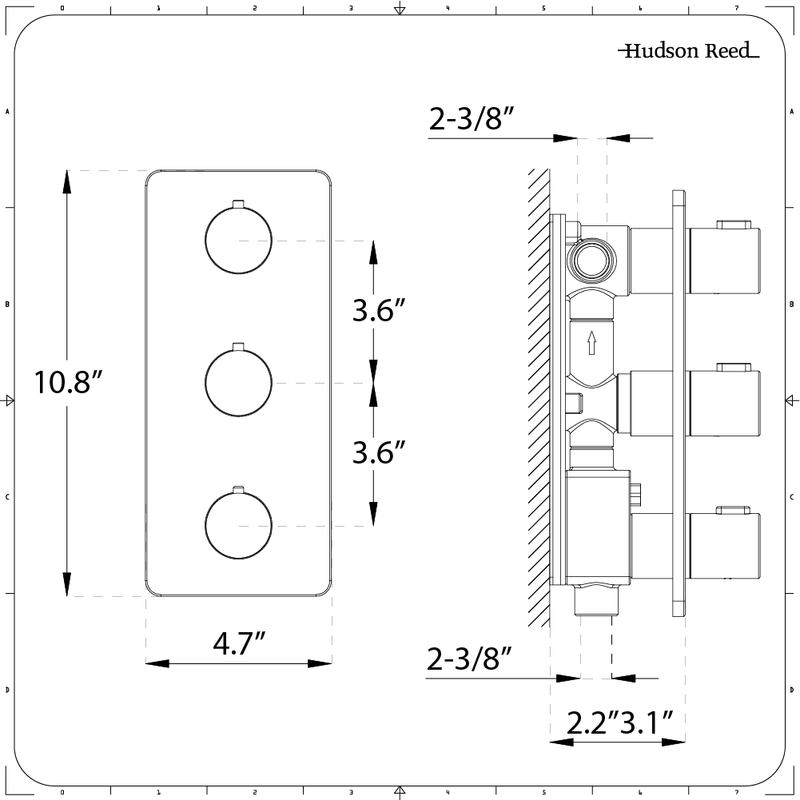 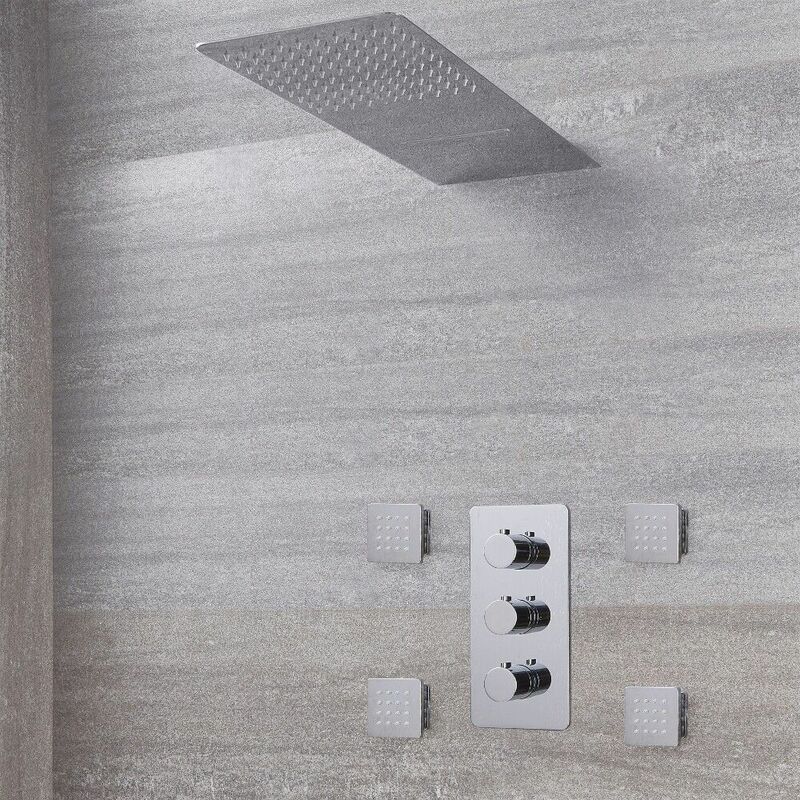 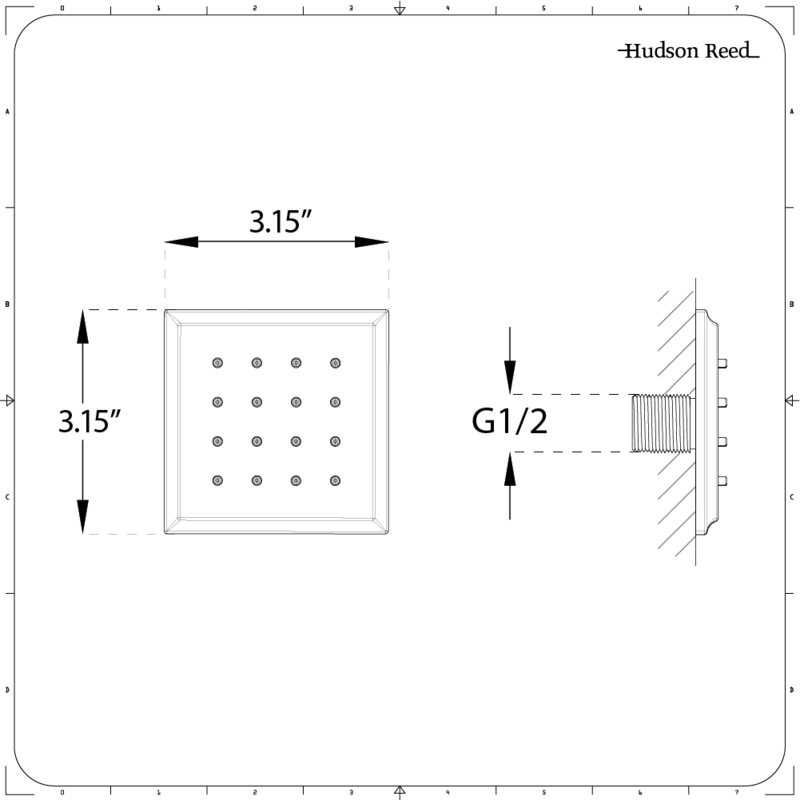 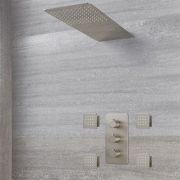 With each component manufactured from solid brass to ensure excellent durability, the shower system features a thermostatic valve which supplies water to three outlets, as well as a multifunction shower head and four body jets. 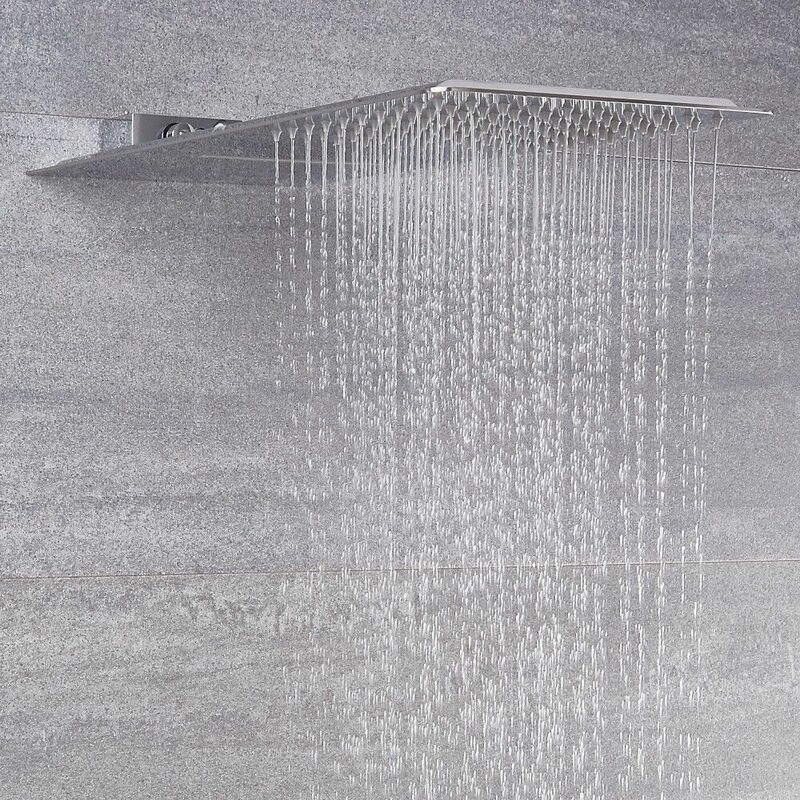 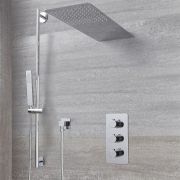 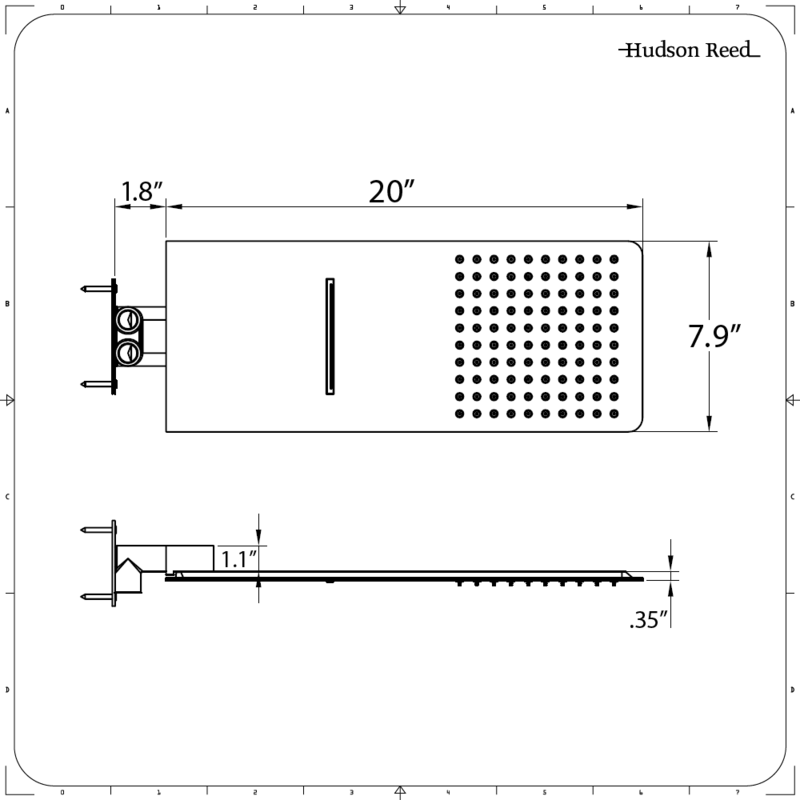 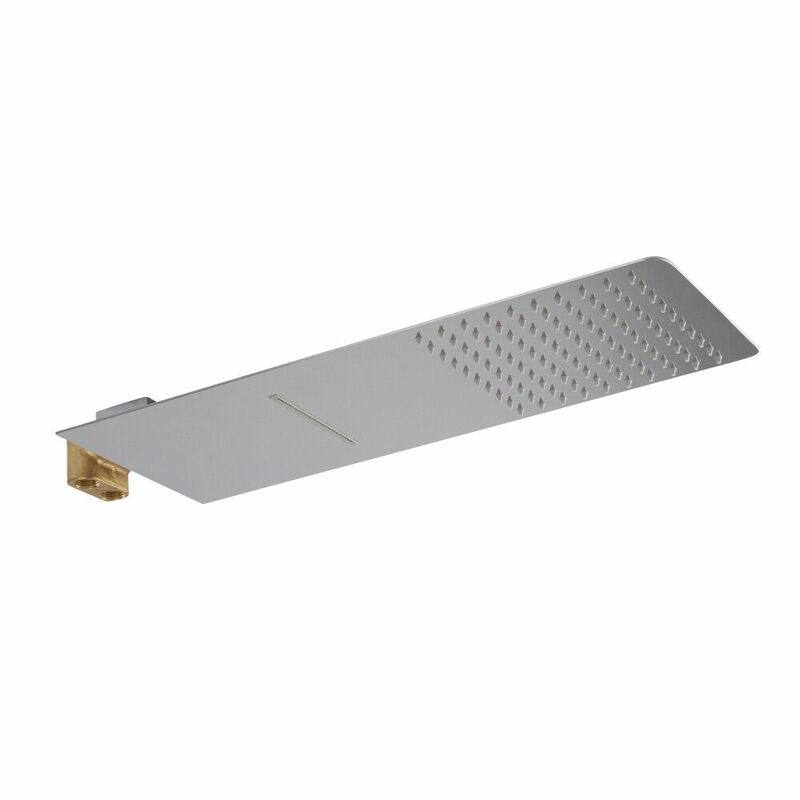 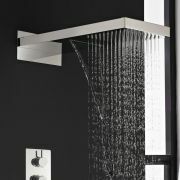 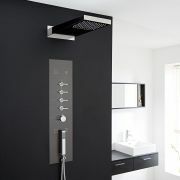 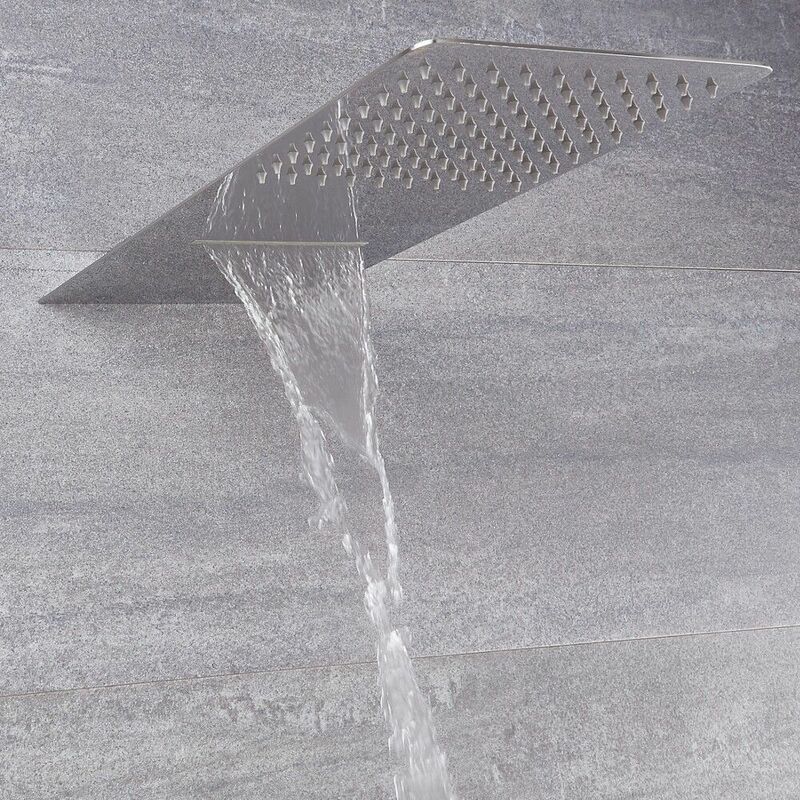 The shower head enables the user to select between rainfall and waterblade functions, and combines with the body sprays to deliver a spa-like shower. 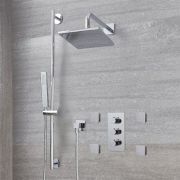 All included elements boast a brilliant chrome finish that is certain to mesh well with any surrounding décor.